No, they may not be in your backyard. Maybe they aren’t even in your state, region, or country. And maybe you’ll never see them in your lifetime, even if it’s all you conclude to seek from existence. But believe us when we say that — by land, air, and sea — we all have some awesomely strange neighbors with whom we share this wonderful world. In the context of the quiz you’ll find below, it’s important to note that “strange” is a fluid term, in that it can equate to a “strange” appearance, a “strange” function, or even a bit of both. 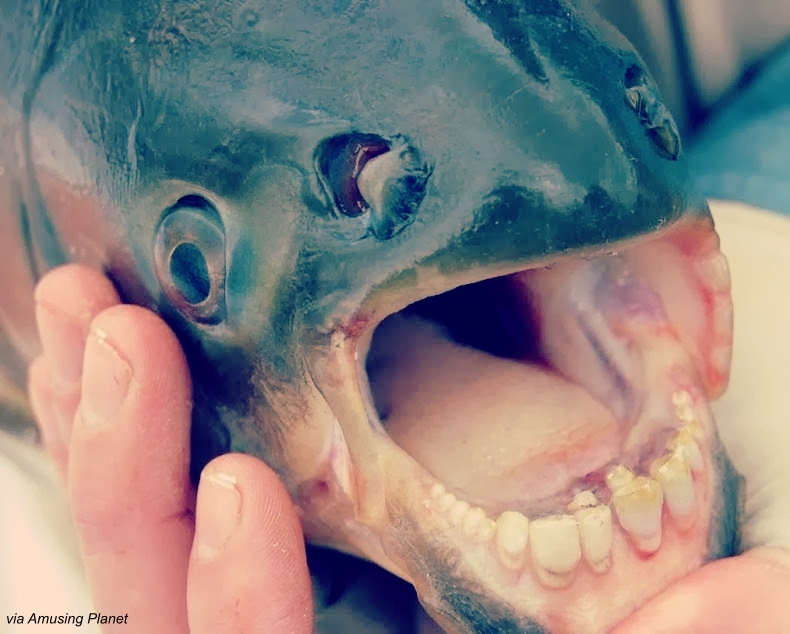 What you’ll notice about the pacu fish — a South American freshwater fish — is just how closely its straight, square teeth resemble the teeth of human beings. Omnivorous with vegetative tendencies, they typically grind down fruits, nuts, and plants that fall into the water, though, like human beings, their teeth allow them to also lean into meat-eating land and grind down the shells and bones of their prey. Neat, right!? And oh so strange, from the perspectives of both appearance and function. If you’re ready for some more strangeness, try your hand with the quiz below, and don’t forget to share your results with your friends! The world is filled with strange creatures. See if you can match all of these! Nice try! Hopefully you learned a bit about the strange world all of us share! Up next: give this endangered species quiz a shot! You’re a pretty strange creature, and that’s awesome! Share this quiz with all of your strange friends! Shout it from the mountaintops: YOU’RE REALLY STRANGE! Take pride in that, and share your awesome results with all of your strange friends!